Why Shouldn’t You Buy Your Engagement Ring On Ritani In 55 Words? Ritani is a unique type of engagement ring store, which combines both e-commerce and mortar stores. That combination, often creates some complications, and might sometimes cause unexpected delays or misunderstandings. If you are not the personality type who can handle these cases, we advise you to think twice and consider an old fashion style shop. Why Should You Buy Your Engagement Ring On Ritani In 76 Words? Ritani and their unique “clicks and bricks” model that blends online shopping and brick-and-mortar stores, is a one of a kind opportunity for you to enjoy the pros of an online shopping, as variety, price and service, aside avoiding its major con which is the abstract of the option to see for yourself. 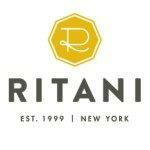 Ritani will ship your engagement ring to a local store in over 70 countries, so you can have a look before you pay! Founded in 1999, specializing in engagement rings and bridal jewelry. The headquarters are based in White Plains, New York. Ritani is a mixture of experience in the diamond business and clever e-commerce technique. What’s the News about Ritani Engagement Rings in 2018? For diamonds at Ritani, there is a new heist in 2018. Having launched endless amazing campaigns, Ritani Engagement Rings are defined as the new trendsetter in the diamond engagement ring community. Open Band Diamond Engagement Rings: Made with crisscross bands of rose gold channeled in diamonds. Chevron Bands for Precious Stone Wedding Ring: V shaped diamond engagement ring with halo effect of tiny diamonds. Special Gem Shapes Never Seen Before: Five sided heart shape is a new addition from Ritani that has spiked interests! Gemstone Wedding Rings: With center stones made of gemstones, these are affordable and the new fashion for brides! Ritani is not a scam; this is a legit and totally legal company, which is fully registered under the US authorities. There is no threat of fraud under this website. To begin with, we must state that Ritani is unique under the method of “clicks and bricks”. It seems that though the few years of running the business, it seems that it still causes some problems, here is what we heard; complaints about shipment delays, resizing issues that included misleading by sending the customer to a brick store in order for them to ship, lack of availability on the customer support and other minor occasions. This is fantastic! We are going thru the Ritani’s on-line website, and it is clear that plenty of thought had brought in the design, the variety of diamonds, search engine, filter and more. Ritani’s unique method of clicks and bricks, create a brand new world for those who are too scared of an on-line purchase without touching, and allows the pros of an on-line such as easy search, going thru a large number of designs, multiple options for settings and 24/7 on-line support. We tried Ritani’s customer service on unusual times and we were answered right away, so it is clear to us that the customer support is professional. The variety of diamonds is not small but not as big as other brands, well, that might be just a pro when it comes to the moment you need to choose one from the variety. Ritani’s policies, offer a little less than most of the market, but yet better than some others, and recording to a refund option that is not mentioned under any written agreement, we have e-mailed Ritani and were told that once no satisfaction is acquired, a refund is made to the customer’s will. We personally liked some of the 1 carat engagement rings. Ritani was chosen as promising business model by Forbes. Ritani is unique and yet wonderful on-line engagement ring store. It allows you to have the mixture of on-line pros with no cons, and being able to visit the store by foot only for showing or resizing your engagement ring. As a reliable recommendation, you should consider this method if you have enough time to combine your purchase with a specific store, on specific opening hours etc’. One more important tip is to ask for matching wedding bands! Save yourself the next episode! Oh yes! Perfect customer service, even on the toughest hours, very helpful filters and search engine. Prices are shown in your own currency and not only USD; diamonds photos are big and even HD in some cases. Big enough for us, we found thousands of designs, both halo cut engagement rings, with or without settings, all diamonds are available with a yellow gold ring, rose gold or white gold. Cushion cut engagement rings are among the most special we have seen so far. A+, we tried Ritani’s on-line team on some of the weirdest hours of the day (how about 3am), and every time we got an answer that got us satisfied. We asked for policies, we asked for engagement rings discount, matching set etc’. Many thanks should be given to the agent who checked up with me, with a complimentary e-mail a few days after our chat! Ritani allows a 12 month no interest payment offer. For a financing, Ritani offers some options that include up to 36 months payments. Ritani ships for free, both for its shop locations and to your home/ office that includes the insurance. Unofficially, Ritani representative told us that though returns are offered up to 30 or even more days, and no refunds are mentioned under the company’s policies, refunds are made if you are not satisfied with any of the option offered. Ritani offers a lifetime warranty, and a lifetime trade in option for all its jewelries. This place is a scam. I sent Tiffany’s jewelry to them to sell back two xmases ago for some extra cash. They in turn sent me a counterfeit check and the numbers had been disconnected at the NY location. The man I had emailed had a fake account and was in Libya somewhere. My bank investigators charged me for all of it and told me this happens all the time. Did this really happen? Was the sent address right? Have you contacted ritani? Did you insure your item while sending? We purchased an engagement ring from Ritani and within a few months we noticed a crack in the band. Ritani informed us it was our fault the crack was there and that we would be charged to fix it. Fine. They fix it and send it back to us and shortly after the crack reappears! Ritani informs us that now, our ring is unrepairable and must be replaced. WHAT?! On top of that, they stated WE WOULD HAVE TO PAY FOR IT because it doesn’t fall under manufacture warranty. Ok, so we had several reputable jewelers (including jewelers that sell the Ritani brand) who examined the ring and stated that the crack was due to POROSITY and bubbles forming during the manufacturing process WHICH IS A MANUFACTURER’S DEFECT AND WHICH SHOULD BE COVERED UNDER MANUFACTURER’S WARRANTY. One of the jeweler’s, CD Peacock, even called Ritani on our behalf to inform them of this! When brought to Ritani’s attention, they denied it and still claim that the crack is our fault and we must pay for a replacement. You have been warned.